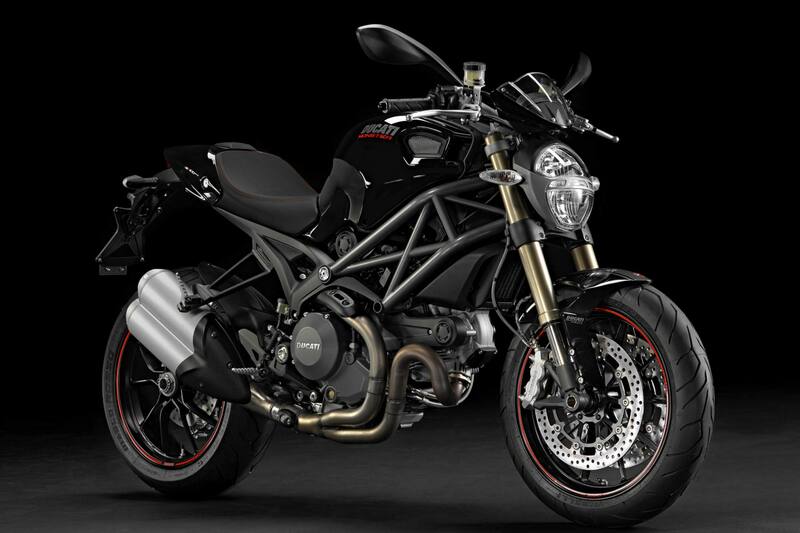 Ducati has updated the Monster 1100, giving it the EVO treatment, which brings with it +5hp on top (for a total of 100hp), while keep torque at 76 lbs•ft. 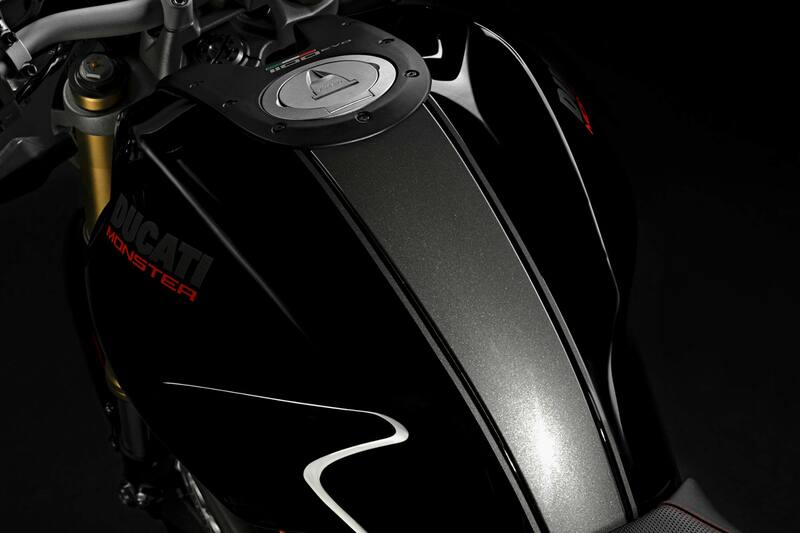 The 2011 Ducati Monster 1100 EVO also benefits from Ducati’s electronics package, which now includes standard ABS, Ducati Traction Control (DTC), and Ducati Data Acquisition (DDA) as standard OEM equipment. 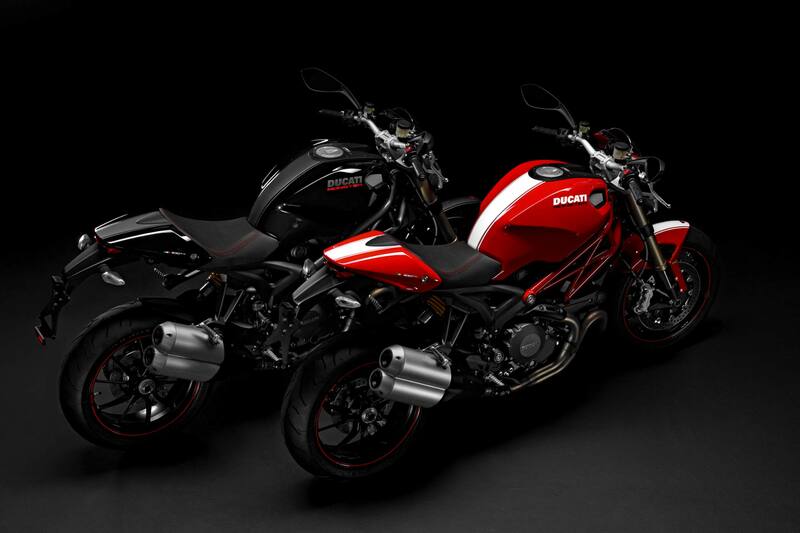 Fitted with a two-canister side exhaust (you can debate if this is being channeled from the Diavel or the Streetfighter), the Monster 1100 EVO tips the scales at 373lbs, 4lbs less than the 2010 Monster 1100 ABS. 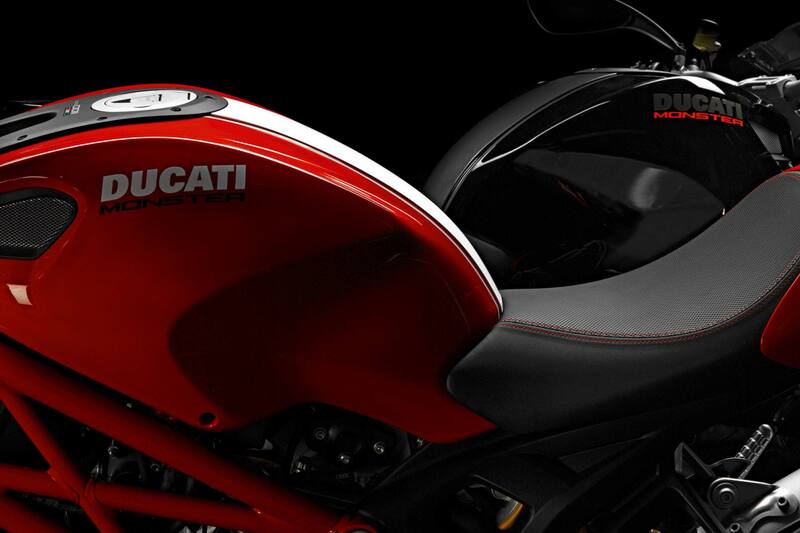 In addition to these goodies, Ducati has also revised the sitting position by adding a new seat and a 20mm higher bar-riser, there’s some nice rally stripes thrown into the mix. 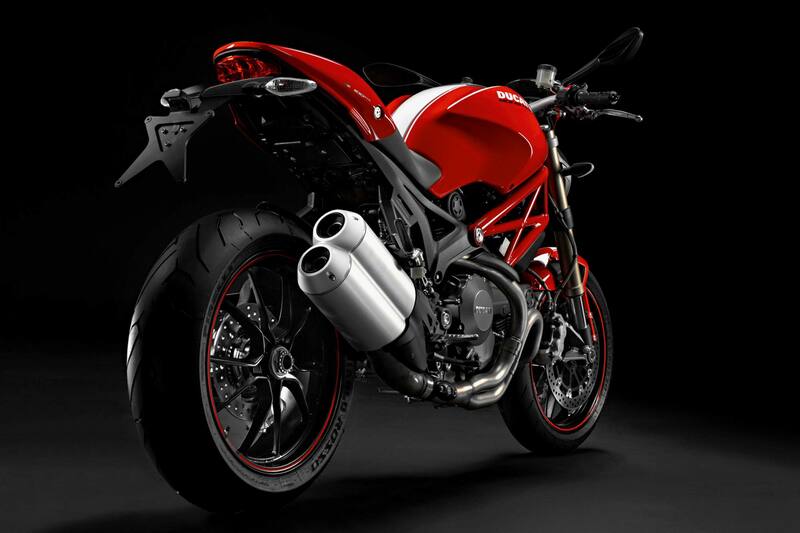 Diehard Ducati fans will be sad to hear the Monster 1100 EVO is fitted with the APTC wet clutch, making for smoother transmission work, but perhaps less Italian soul (this means the entire Monster line will now have wet clutches). Photos after the jump.